Artfully simple, these non-etched jewels create a sleek, contemporary look in any outdoor garden setting. Recycled redwood & copper base with ruby flower feeding ports. 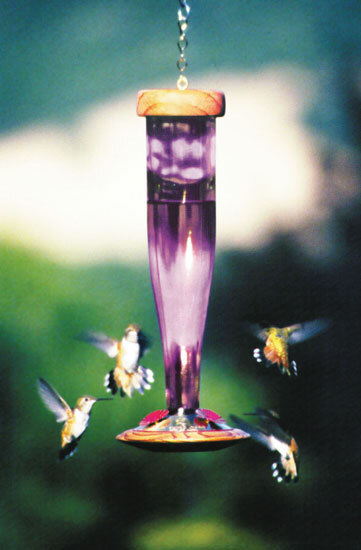 Integrated perch invites hummingbirds to sit and dine. The shimmering, kiln-fired recycled glass has an iridescent sheen.